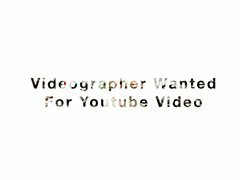 I am looking for a talented videographer and editor for a youtube collaboration. These videos are going to be photography challenge inspired and I need someone to film the behind the scenes, intros and outro. Having said that, if you are interested in getting involved in a fun video, and are familiar with filming and editing I'd love to hear from you.